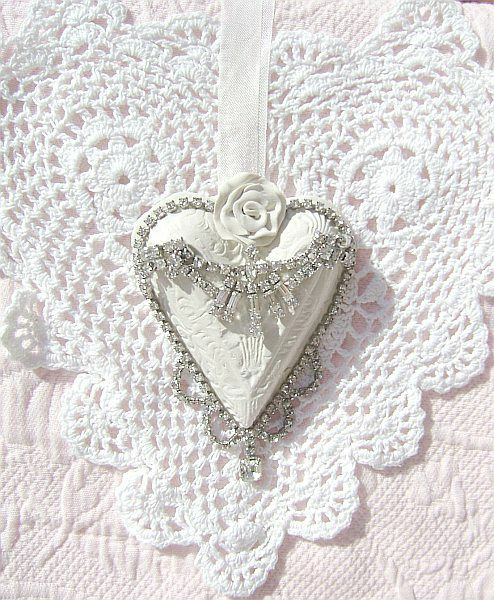 This one of a kind,Vintage Charm Heart ornament was designed with the vintage bride in mind, but could really be used as home decor as well. 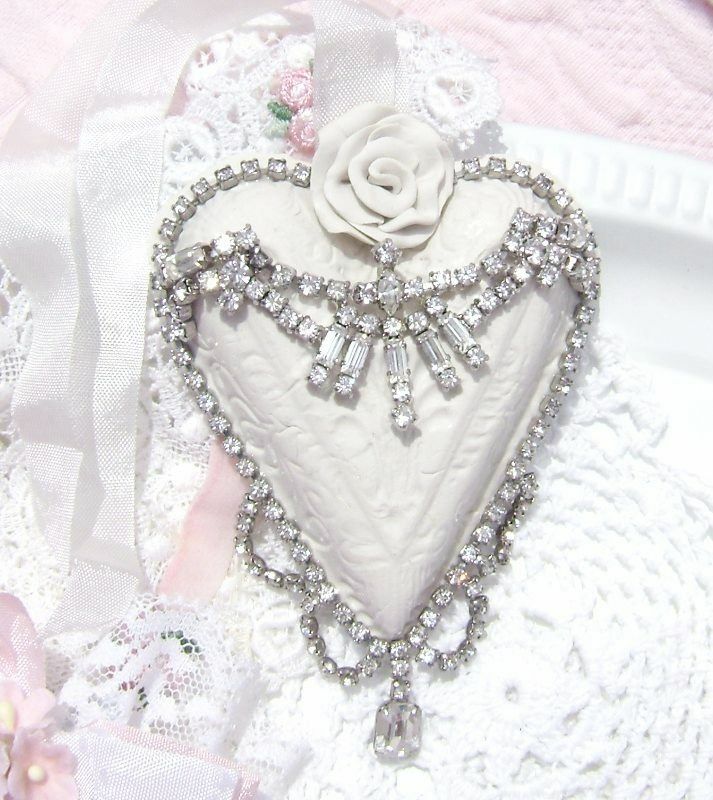 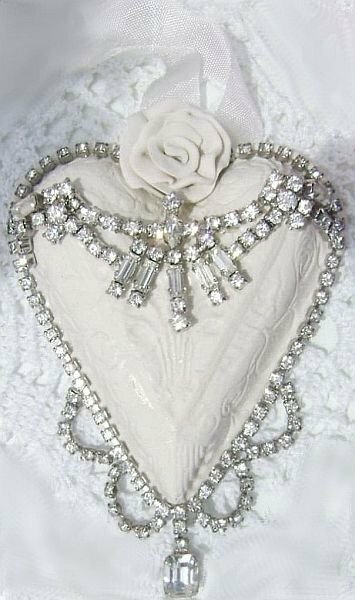 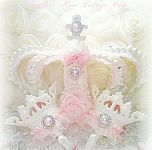 The hand made,Victorian style, white clay heart is adorned with gorgeous, vintage rhinestone jewelry and a lovely, white, hand rolled, clay rose sits prettily atop. 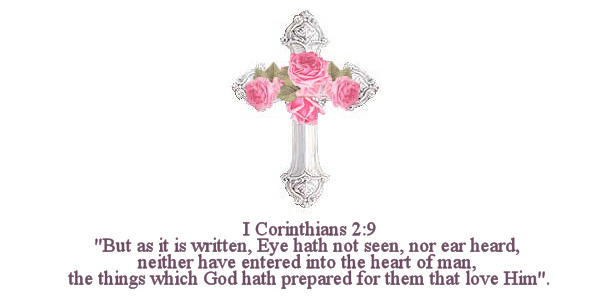 I will gladly personalize it with the wording of your choice and date on the back of the heart. 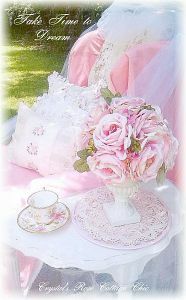 Simply mention the info in a message during checkout with Payapl.